10 questions for the YAIAA football seasonFrom returning powerhouses to programs looking to rebound, here are the storylines we're most curious about. 5 burning questions entering the 2016 L-L football seasonGet ready for the 2016 season with these five burning questions about the Lancaster-Lebanon League. Meet six new YAIAA football coachesSix new YAIAA head coaches take the helm this season. Here's what you need to know about each of them. L-L Section One PreviewThe L-L guys break down the “big boys” in Section One heading into the 2016 football season. L-L Section Two PreviewThe L-L guys discuss who will grab the crown in a loaded Section Two heading into the 2016 football season. L-L Section Three PreviewThe L-L guys are back to break down the interesting landscape in Section Three as the 2016 high school football season approaches. Watch: YAIAA Division II football previewChristian Arnold and Teddy Feinberg talk about the upcoming season of YAIAA division II football. Watch: Two-Minute Drill, Week 8Sports reporters Lizi Arbogast and Lindsey Smith break down Franklin County's best Week 8 matchups. Watch: YAIAA Division III football previewMatt Allibone and Teddy Feinberg talk about the upcoming season of YAIAA Division III football. Watch: YAIAA Division I football previewZach Miller and Teddy Feinberg talk about the upcoming season of YAIAA Division I football. Pick up your football preview print copyThe high school football set to kick off this week, and GameTimePA is here to help you get ready for the gridiron. 2016 L-L Football hype videoCan't wait for the 2016 football season to start? 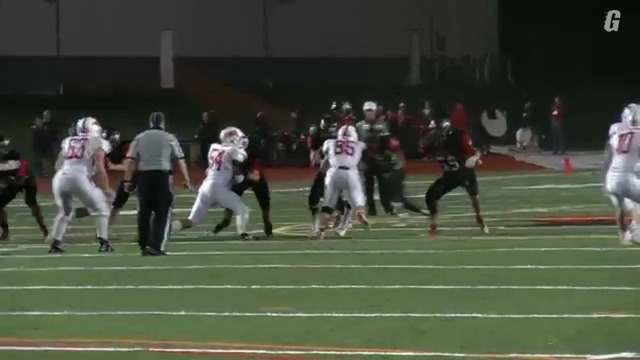 Get your L-L football fix with this hype video full of 2015 highlights. Watch: YAIAA Division III football hype reelDivision III football teams prepare for the 2016 season. Watch: YAIAA Division I two-minute drill Q&AYAIAA Division I football players discuss a variety of topics. #ThrowbackThursday: Franklin County football childhood game challengeCheck out a sneak peak of the #ThrowbackThursday video series, featuring the five Franklin County football teams playing favorites from their childhood. GameTimePA's high school football previewGet ready for fall with football previews from the Mid Penn, Lancaster-Lebanon League and YAIAA. Printable high school football schedulesSee complete, week-by-week schedules for the YAIAA, L-L League and Mid Penn Conference.